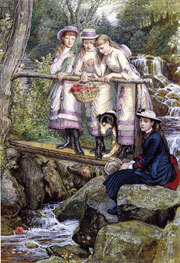 Princesses Louise, Victoria and Maud at the Cragside cascades in 1884. Water Wizard is the latest in a series of initiatives to allow visitors to experience the house and grounds as they were in Armstrong's day. In addition to a major rewiring of the property, the cascades in the rock garden are back in working order, and interactive models have been installed in a restored power house to help visitors to learn about water power. A new turbine is planned for the power house so that energy may be generated there again. Inside the magician's palace, some of the restrictions on touching exhibits have been lifted, and visitors are now encouraged to hit balls on the billiards table, for example. The aim of this experiment is, as far as possible, to bring the house 'back to life'. See BBC Tyne. Tumbleton was one of five artificial lakes created by Armstrong to harness the power of water. An exhibition exploring ‘The World of the Water Wizard’ was put on at Cragside as part of the celebrations to mark the bicentenary in 2010 of the birth of William Armstrong. Cragside is the house of wonders that Armstrong carved out of Northumberland moorland in the late 19th century with the help of the leading architect Richard Norman Shaw. In its grounds he dammed rivers and streams to make five artificial lakes – with the aim of harnessing water power to drive machinery. 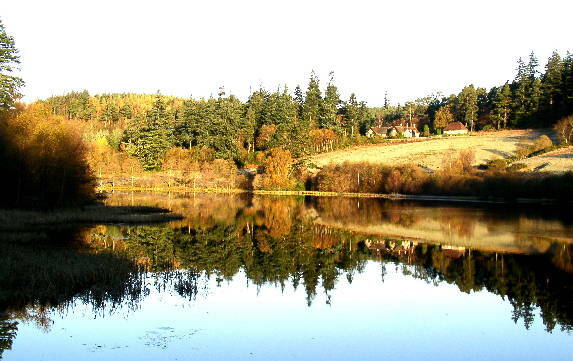 The Cragside estate was the birthplace of renewable energy. The exhibition focused on Armstrong’s love affair with water, as a source of both pleasure and energy – with the potential to change the way we live our lives. ‘Whenever the time arrives for utilizing the power of great waterfalls,’ he wrote in 1881, ‘the transmission of power by electricity will become a system of vast importance.’ He put his ideas into practice at Cragside, constructing in the grounds the world’s first hydroelectric power station and using an array of hydraulic mechanisms to operate labour-saving devices in the house. Water Wizard included a timeline of Armstrong’s life and achievements, and used film and moving exhibits to explain how he made water ‘work’ for him. There was also information about the gadgets he installed there and what made the house so far in advance of its time. For information about current exhibitions at Cragside, visit the National Trust website. 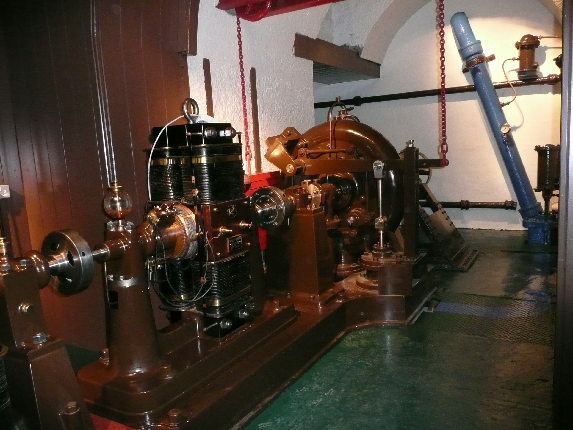 One of Armstrong's original turbines on display in the power house at Cragside.